The team at Tyre Review embarked on a 4-day trip with 7 fully loaded 4WD’s to Tasmania’s West Coast to see how some of the big tyre brands would hold up to the areas harsh conditions. 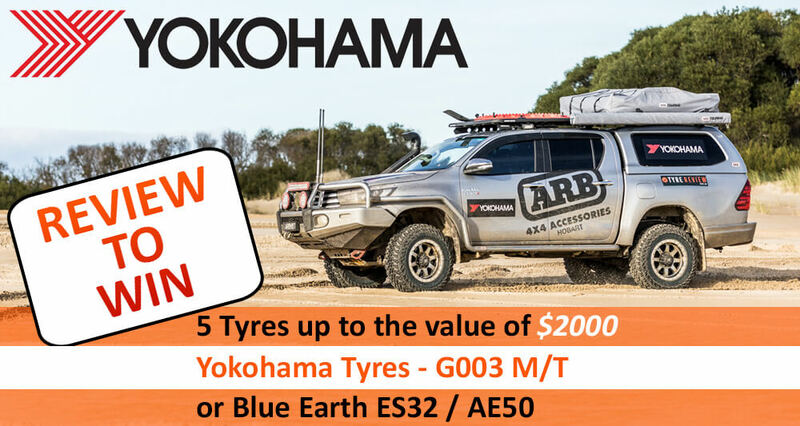 June 7th – 11th 2018 and the team at Tyre Review embarked on a 4-day trip with 7 fully loaded 4WD’s to Tasmania’s West Coast to see how some of the big tyre brands would hold up to the areas harsh conditions. How did they go? Well, this is how the trip unfolded. With 7 cars packed, 7 sets of brand new tyres fitted, we set off from Tyre Review HQ about 20km from Hobarts CBD. The 5Hr drive winds its way through 297Km to the West Coast town of Strahan. The only problem with planning anything on the West Coast of Tasmania is the incessant rain and wind that pounds this coastline due to their literally being nothing between it and the Southern Oceans roaring forties. However, upon daily weather checks, it looked like we were kissed on the hand and greeted with a little amount of rain on day 1 which meant we’ll have some great bog holes to deal with. Followed by 2 days of sunshine and light northerly winds. The drive out to Strahan takes in the rolling hills of the South West midlands, sub alpine highlands around Derwent Bridge before dropping down through temperate rainforests into the baron rocky hills of Queenstown. From there, you drive through more rainforests on the windy 38km of road down into Strahan. Strahan served as a supplies port for the local west coast mining towns of Queenstown and Zeehan. As well as playing a pivotal role in the west coast timber industry, it lies in the northern corner of Macquarie Harbour. Strahan would be our base of operations for the next 4 days as we tackle the local 4WD tracks in the region. We hit a few services tracks out the back of Queenstown with our local guide Ivan. The cars traversed their way around the steep hills to Mt Huxley with Mt Owen looking very ominous in the distance but out of reach as we came to the end of our track and turned back. As promised, we tracked a lot of hard rock with multiple river crossings and steep terrain. All cars passed with no winching required and after 2 hours, we were in the clouds that engulfed Mt Huxley and beyond as the rain fell hard! We all knew tomorrow was going to be wet and muddy! On the way back, we were blessed with the falling sun cutting through the fog of the South West wilderness ranges and returning to the warmth of our Strahan Village rooms. We all traded images and drone footage before heading down to Hamers, the local pub on the waterfront for a few coldies and a great pub meal. The excitement for Montezuma Falls was high. All 7 cars set off at 8am for the 30 min drive up to Zeehan. Stopping in at the Pitstop Café in Zeehan for a great morning coffee. This local café is set up like a 50’s style automobile workshop. Continuing north east for a further 15 minutes to the start of Montezuma Falls track. After a quick group briefing, we aired down and begun the journey to the falls. This track lived up to its reputation for being one of the most scenic tracks in Tasmania. With a number of first timers to the track, we were eager to see what awaited us and it wasn’t long before the first real deep bog hole of the day greeted us. The guys in the Amarok joking around, backed up into a very deep hole hoping the Hilux will follow. So, in went the Hilux on Yokohama’s G003 and was instantly stopped by very large logs under the surface. The whole team lined the hole as the Hilux was recovered by the Prado. With loads of washouts and some great climbs out of creek crossings, it was easy to see why the Montezuma Falls track is among the most popular in the state. The track was picturesque from start to finish. It took us 2 hours in the wet and over 14.5Km along the North-East Dundas Tramway to make it to the falls. All of that rain also meant for a really impressive Montezuma Falls. After a quick lunch at the cars we took off down the track on foot to the base of the falls. Due to the lookout being on the other side of the valley, a suspension bridge has been built for those coming in on the 4WD track to cross. Montezuma was heaving with water and such an amazing sight, even for those that have been here before. On return we had two options, back the way we came or via the Ring River track. Montezuma Falls track is classed easy-medium, other than a couple of big washouts it’s a technical track but it’s fairly easy. The Ring River track has a class of extreme grade 4WD track only. A minimum of two well equipped 4WD’S, with dangerous possible life-threatening river crossings after heavy rain. Considering the weather, we just had, we thought it was the right idea in returning along the Dundas Tramway and the way we came. All vehicles and tyres performed very well on the tracks conditions, while the only causality was the General Tires fitted on the V6 Amarok with a pinched sidewall. Andrew of ARB Hobart, one of the more aggressive drivers of the group was really having a crack when he clipped a large rock on the way out of a bog hole. Once the hole was repaired, we were on our way to exiting the track just before the sun went down. Back in Strahan we teed up a high-pressure hydrant & hose from Huon Aquaculture and washed the trucks down before the next day of adventures. The crew got together for a few frothies and dinner at a local restaurant, The Bushman Café. A juvenile Tasmanian King Crab was the star of the show, however the Chef, who shares the same name was a great laugh at the end of the night. Steve, a two-hat Michelin restaurant owner from Sydney now runs The Bushman in Strahan with an awesome menu, local craft beers on tap and great atmosphere. An early start to be in Trial Harbour for sunrise was well worth it. The sky beyond the offshore winds and 4-6ft surf was full of pinks and blues switching out to oranges and yellows as the sun rose from behind the west coast mountain ranges. This area is known to have swallowed cars in the past with unpredictable quick sand deposits along the edge of the river mouth. Making the most of the opportunity, we captured our shots and drove back to Trial harbour and the beginning of Climies track. Climies Track is graded intermediate / difficult and it put our vehicles and tyres to the absolute test. The track follows the coastline from Trial Harbour to Granville Harbour, and requires some really technical driving. We tackled 1000 meters of elevation with pinches as steep as 15% and covered terrain including sand, granite, rock, river crossings and one of the most difficult bog holes we had to negotiate on the whole trip, it was Absolute carnage. Climies is a multi-use track and back in the day, it was the only way to get between these two harbours. After multiple bridge collapses over the years, it was only passable by foot, bike, ATV or fully equipped 4WD with recovery gear. Now, the bridges have been re-built but a fully equipped 4WD is still recommended. Still to this day, Climies is used by just about every means of transport and we saw literally all of them, from mtb’s, 4 wheelers, dirt bikes, 4WD’s and 1 elderly fella on foot who actually repeatedly passed us on our way to Granville as we got stuck in every deep hole in the last 2km of track. With all vehicles regrouping on the road just out of Granville, we filled our tyres back to road pressure and made our way south back to Strahan. Our local guide Keith, knew a few little secret spots and before too long we found ourselves up one of the hills close by to take in the view. After a huge day of driving, it was time to charge our gear, get into a few frothys and talk about the days adventure on Climies track over a pub meal down at the Regatta Point Tavern. Another early start to beat the sunrise as we set off for Henty Dunes. A popular adventure area for quad bikes, 4WDs camping and the dunes are open for vehicle access. With a much larger pressure drop in our tyres for the day we took to the sandy narrow pass that led our 7 trucks to the open plains of the West Coast dunes. Today was a bit of fun for everyone as we raced around the dunes getting our final shots of the vehicles and tyres in action in the sand. We interviewed each driver about their experience on the tyres fitted to their vehicles and signed off on our first ever Tyre Review West Coast Adventure before heading back to Hobart. The Tyre Review Winter Adventure is designed to be a fun way to get a bunch of different tyres together, on different cars, and film a trip with all those cars and tyres and how they match up to the conditions. It is in no way intended to be a direct comparison between the tyres, and the drivers opinions of the tyre are based on three days of using them on the trip.